JWG-IT Group, the think-tank for EU driven IT change in financial services, has announced the launch of its Financial Services Technical Special Interest Group (TechSIG), with Intel, Sybase, Kurtosys, Cisco, Chi-X, Aleri, BEA, AEMS, Redhat, Brookcourt, ASPone, and Xenomorph as its inaugural members. JWG-IT Group, the think-tank for EU driven IT change in financial services, has announced the launch of its Financial Services Technical Special Interest Group (TechSIG), with Intel, Sybase, Kurtosys, Cisco, Chi-X, Aleri, BEA, AEMS, Redhat, Brookcourt, ASPone, and Xenomorph as its inaugural members. The group has agreed to commit collective resources to facilitate the collaborative development and testing of reference architectures with technology vendors to meet the EU regulatory driven needs of financial institutions. The first outputs will be a capital markets regulatory framework which defines solutions required to comply with the Markets in Financial Instruments Directive (MiFID) and a MiFID Test Lab. The group will initially be chaired by Nigel Woodward (Intel) with Parm Sangha (Cisco) as vice-chair. To maintain its neutrality, a formal constitution has been established which provides for the rotation of the management committee. 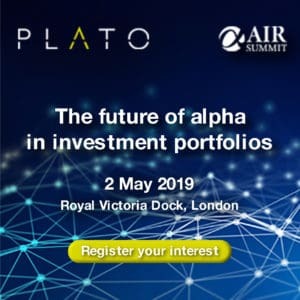 The first public event, a Tested and ready for MiFID? seminar, will be held in London on 10 May in conjunction with TechSIGs sister organisation, the financial services testing group, where they will welcome on board the FSTGs latest member, ApplicationPerformance. Today, PJ Di Giammarino, CEO JWG-IT, highlighted the significance of this new group. "The EU is in the depths of an aggressive change programme and the capital markets industry needs the support of its suppliers. With less than 140 work days left to 1 November, financial institutions are starting to realise that MiFID compliant infrastructures will evolve over 3-4 years and changes can't be made in a single budget cycle," he says. "Implementers are now faced with tough decisions and will struggle to maintain their firms cost / income ratios. Only JWG-IT, in its neutral position, can bring vendors together to openly collaborate on faster, better solutions for the capital markets. Moreover, our trusted position with the investment firms enables us to gain exclusive knowledge of their key issues to ensure our TechSIG members are addressing the real priority needs and staying well ahead of the game," concludes Di Giammarino. During the last 16 months, through 150 days of collaborative effort with over 50 financial institutions representing 10 jurisdictions across the sell and buy-sides, JWG-IT has defined over 1,000 MiFID requirements. David Seacombe, director JWG-IT, comments, "Each firm's MiFID journey has a different start and end point, with different priorities along the way, in large part determined by their existing operating models which can involve hundreds of different technology suppliers. Business focused people are determining the actions to take for MiFID, but they primarily understand only the functionality and data required." He adds, "Conversely, we are seeing that the same firms' IT specialists are only partly aware of what they, and their supply chain, will need to do for MiFID." Nigel Woodward, Intel's financial services director, UK, comments, "We see the development of the JWG-IT TechSIG as a valuable mechanism through which to align and manage the vast capability of multiple technology vendors with the markets MiFID requirements, as documented by the think-tanks' collaborative process with the firms." He continues, "By creating reference architectures, the TechSIG will encourage best practice and bring effective solutions to market. Intel will proactively support the SIG members with advanced access to new processor technologies in our Intel Core 2 processor range, the acceleration tools that make up IA (Intel Architecture) and physical facilities for testing." "To date there has been too much noise around superficial tick box compliance action and not enough discussion about the large scale infrastructure changes which will be forced upon the market over time," notes Gavin Quinn, EMEA business development manager FSI, Sybase. "Through the creation of new liquidity / information pools and the exposure of dark liquidity to the marketplace, MiFID will force changes to how we capture, move and analyse data. We wish to use TechSIG to understand the nature of the impact on the various market participants and use this information to hone our solutions." Parm Sangha, business development manager, financial services industry solutions, Cisco Europe, notes, "In order to help the financial market meet the demands of the MiFID legislation, it is important that the IT vendor community work together. Having an impartial organisation like JWG-IT to help guide this collaboration is a wonderful opportunity for the firms affected by MiFID. Cisco wanted to be part of this important industry group due to our agnostic outlook towards the IT elements that will be affected by the directive and to combine the intelligence we have gathered in creating Ciscos Financial Services solutions with other vendors intelligence." "As the first pan-European order driven MTF, Chi-X is built on a vendor neutral approach offering participants MiFID compliant opportunities to improve their trading performance," adds Hirander Misra, director of Instinet Chi-X. 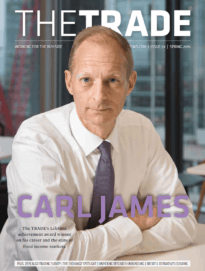 "We offer institutions a high speed, low-cost alternative for trading European equities through the use of innovative technology and see the JWG-IT TechSIG as a valuable mechanism to ensure that vendor and client needs and interests are aligned with our ongoing product development, whilst continuing to pioneer technological change to meet the needs of the investment community." "The TechSIG's attitude - to implement MiFID better, faster and cheaper through industry collaboration across the technology value chain supports BEA Systems' approach of re-purposing systems for MiFID compliance," says Andy Woollard, MiFID Lead, BEA Systems. "The timelines, costs and, in some areas, a lack of clarity associated with MiFID, demand the re-use of existing assets and flexible architectures that can change as rapidly as the market. Through active participation in this important industry initiative, BEA Systems will share its vast knowledge as a trusted foundation for real time trading platforms and exchanges as well as our experience with Fortune 500 financial securities firms." Nick Deacon, Aleris senior vice president for global operations and based in London notes that "the formation of this group can benefit the industry as a whole, by bringing economies of scale through the sharing of best practices. This will allow us to take what were learning from individual customer engagements and combine it with the experiences of the other TechSIG members to offer up approaches that will benefit the greater community." Lee Staines, global head of sales at AEMS, comments, "AEMS is the leading global provider of technology solutions for exchanges, clearing houses, banks and intermediaries. We are committed to remaining at the forefront of technological change, most particularly in helping our clients address their MiFID requirements both this year and in response to future regulatory developments." "MiFID implementation is going to be complex involving the coordination of resources of many departments in investment firms. Those who get it right will gain competitive advantage; those who get it wrong risk litigation from customers, fines from the regulators and tarnished reputations," says Phil Higgins, executive partner at Brookcourt Solutions. "The small number of firms that already have a sound understanding of the operational and technological implications of MiFID, and where they need to supplement their IT infrastructure and applications, are well placed to benefit, "he adds. "It is not too late for the other firms to establish what needs to be done to meet the 1 November deadline and there are tried and tested solutions available now that can be integrated into their infrastructure to enable them to achieve compliance." Brian Sentance, CEO of Xenomorph, says, "We have very much enjoyed working with JWG-IT over the past few months. We now see the TechSIG as the natural route forward for clients and vendors to together translate MiFID into a clear set of technology requirements, and believe that clients desire something much more meaningful than the often over-used MiFID compliant labelling of products."